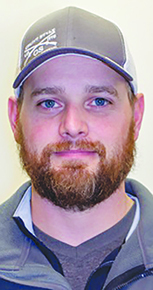 Jeremy Moore of Columbus has joined Loup Power District as a plant operator at the Columbus Powerhouse. As a plant operator, Moore monitors and controls the three generation units at Columbus and remotely controls the Monroe Powerhouse. He also works closely with the Genoa Headworks to divert maximum Loup River water into the district canal system for power plant generation. Moore’s other duties include coordinating generation with NPPD’s control center in Doniphan and monitoring Loup’s 115 kV and 34.5 kV subtransmission system. Moore is a graduate of Cedar Rapids High School. He and his wife, Carri, have three sons — Talon, Parker and Barrett.